The change is Ogilvy's plan to respond to the changing dynamics brought about by the digital revolution that has fundamentally disrupted the marketing industry, impacting consumer behavior, the media landscape and competition. Ogilvy announces the agency's re-founding and new mission to serve as an integrated creative network that Makes Brands Matter. Continuing their 'next chapter' transformation journey, the company introduces a new organizational structure and brand identity. "This has been an 18-month journey for our brand and the largest transformation in the history of our agency, says John Seifert, chief executive, The Ogilvy Group. "To meet the changing needs of our clients, we're taking a bold step to redefine our company and build a new model for our industry, which we helped to create over 70 years ago. The digital revolution has fundamentally disrupted the marketing industry, impacting consumer behavior, the media landscape and competition. Ogilvy's plans to respond to these changing dynamics will re-inject the vision, values, and ways of thinking about brands that David Ogilvy built the agency on, reaffirming what Ogilvy stands for and believes in; that brands matter now more than ever. The integrated Ogilvy brand brings together the three distinct units of OgilvyOne, Ogilvy & Mather Advertising and Ogilvy Public Relations along with various company sub-brands and specialty brands under a single, unified group with a common identity, positioning, client service model and profit and loss. 2. New consulting offering: Building on the success of OgilvyRED, an enterprise offering called Ogilvy Consulting, focused on the areas of Digital Transformation Consulting, Growth, Business Design and Innovation, will work horizontally across all of Ogilvy. 3. New brand identity and design system: A new identity and design system, including a redesigned company website reflecting the "One Ogilvy brand. 4. New partnership model: To lead and manage a truly integrated network business model, we are establishing a formalized global partnership structure. This will ensure that the diversity of our leadership across markets, capabilities, and generations better represents our brand for the greater good of the company today and tomorrow. 5. New global digital platform: The creation of a knowledge-sharing, professional development and customized community-networking tool called Connect to train our people and bring the right teams together to best serve our clients. "Our creativity is the foundation of Ogilvy's global network and the most powerful competitive advantage that we have, says Tham Khai Meng, chief creative officer, The Ogilvy Group. "We are building on the creative heritage of David Ogilvy to fuel our future. Using the common language of ligature, the new Ogilvy logo represents the agility, collaboration and connectedness that the brand is uniquely capable of delivering for its clients. The iconic Ogilvy red has been reintroduced in a brighter Pantone and a secondary palette of gray, pink, blue and yellow has been added to emphasize the company's desire to modernize, while maintaining, its strong heritage. The Ogilvy fonts have also been re-cut and customized as Ogilvy Serif and Ogilvy Sans. 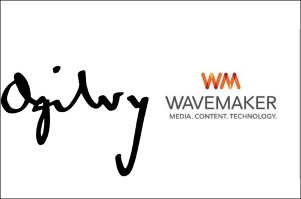 In addition, the company's website ogilvy.com has been redesigned to be a dynamic destination showcasing the breadth and depth of the agency's creative work, talent and thought leadership. Ogilvy collaborated with COLLINS, an award-winning branding and design agency, on the re brand and launch. "Today, there are more opportunities than ever before to shape every aspect of a brand's needs, adds Seifert. "The scale and diversity of our global network is the source of our strength. At Ogilvy, we design the components of a brand, create experiences around a brand, and communicate about a brand. Our new organizational design will empower our people to put clients at the center and create sustained brand value on behalf of our clients for years to come. afaqs! 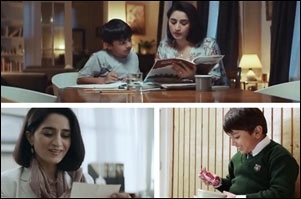 Throwback: What makes Ogilvy India tick?